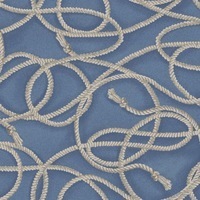 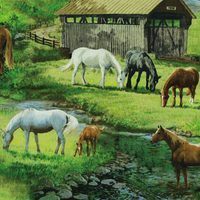 Use this Horse Fabric Panel in pillows, quilts, or wallhangings. 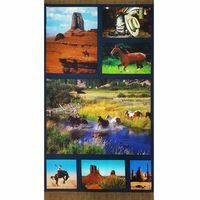 The Horse Fabric Panel was desinged by Kathleen Hill for Studio E and it is part of her southwestern Hold Your Horses Collection. 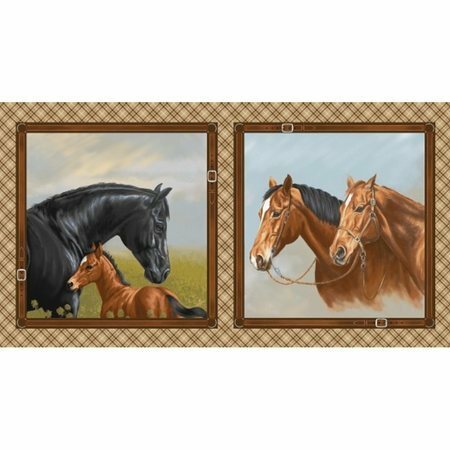 Each block features two different scenes of horses and measures 20-1/4" tall by 19" wide. 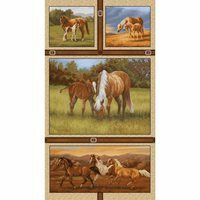 The full Horse Fabric Panel meausres 24" tall by 44" wide.